Ford Motor Company has a long-time standing relationship with United Way for Southeastern Michigan, having raised more for their foundation than any other corporation since the organization was founded in 1949. 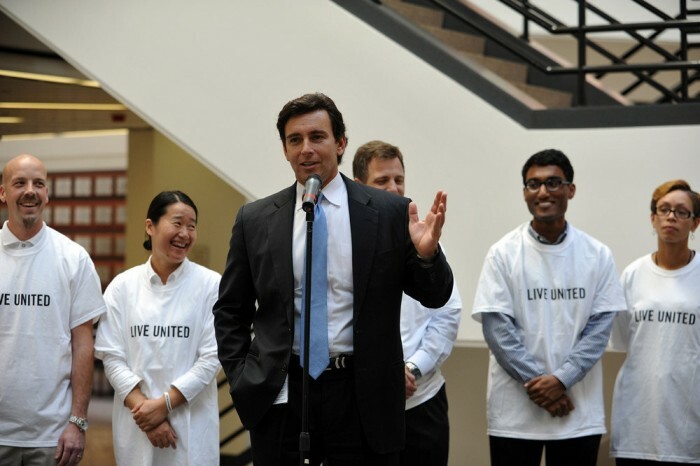 This year was no exception, as Ford’s COO Mark Fields (who only moments ago was announced to be the likely successor to current Ford CEO Alan Mulally) led the campaign to a net of $40,006,284 as United Way for Southeastern Michigan Campaign’s Chair. This year’s campaign marks the largest year-over-year increase for United Way Southeastern Michigan in 17 years, bringing in 14 percent more funds than last year’s campaign. The funds will go to support education, boost financial awareness and self-sufficiency, and reduce hunger in the greater Detroit communities that the organization supports. Ford has contributed more money to the United Way for Southeastern Michigan than any other benefactor since its foundation in 1949. In 2013-2014 alone, Ford donated a whopping $7.4 million for United Way’s community giving initiative. What’s more the number of Ford members in the United Way Alexis de Tocqueville Society of leading philanthropists jumped almost 70 percent, meaning that Ford’s charitable contributions are only getting more and more profound with time.